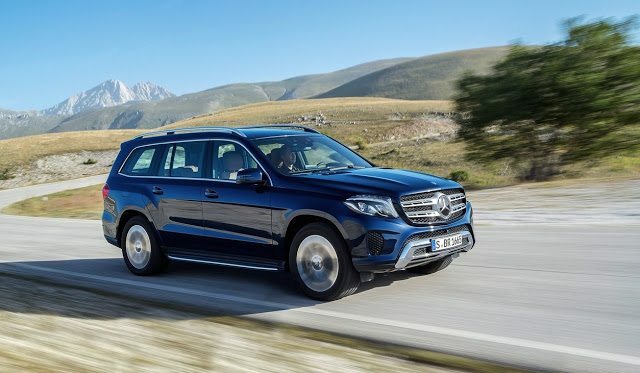 One month ago, we wrote about the Mercedes-Benz GL-Class’s U.S. sales slowdown in advance of the big SUV’s transition into GLS-Class form. Now, the transition is underway, and GL volume – now known as GLS volume – shot up 36% to 2991 units in April 2016, a 249% increase compared with the GL’s March doldrums. 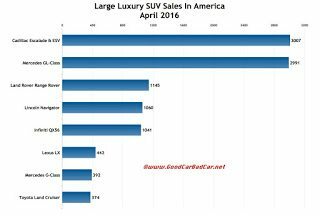 Cadillac’s Escalade, riding on two wheelbases as the Escalade and long-wheelbase Escalade ESV, pipped the big Benz by 16 reported units in April. Momentum, however, is not on the Cadillac’s side. Producing significantly less volume, momentum is on the side of the Toyota twins: Land Cruiser and Lexus LX570. Both will remain rare not only by the standards of the U.S. auto industry’s popular nameplates but also compared with the norms in this category. But both the Toyota and Lexus are significantly more common in 2016 than they were in 2014. Combined sales of the duo are up by 1082 units through the first one-third of 2016. You can click any model name in the tables below to find historical monthly and yearly U.S. auto sales data. You can also select a make and model at GCBC’s Sales Stats page. 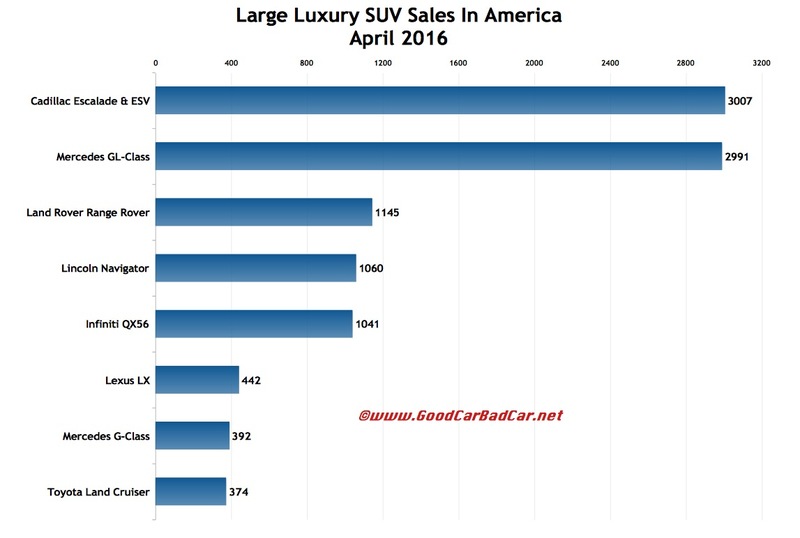 This table is sortable, so you can rank large luxury SUVs any which way you like. Suggestions on how GCBC should break down segments can be passed on through the Contact page.